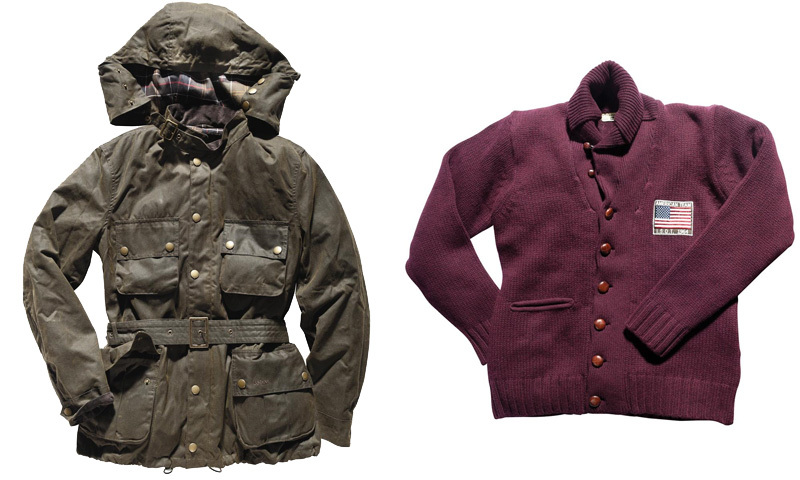 Pictures of Barbour’s fall/winter collections are now showing up online through its retail partners – aside from the classic pieces and a few of the new designs, most of it is very ho hum or generic and it feels like the design teams forgot what makes Barbour Barbour. At first glance, some of the knitwear looks great, but why would they feel the need to attach logos? Then there are the printed items, like this version of the explorer bag which looks like a Paul Smith rip-off. And the Steve McQueen collection is just as tacky as it was at Pitti. The better looking items to keep an eye out for: the Pegasus jacket (a modified version of the Ursula jacket design), the fair isle patterned scarf and gloves, and the Melrose cardigan (assuming they didn’t stick Steve McQueen somewhere on it). Some of the shirts are also promising, just look for the slim fit versions if you can find them.